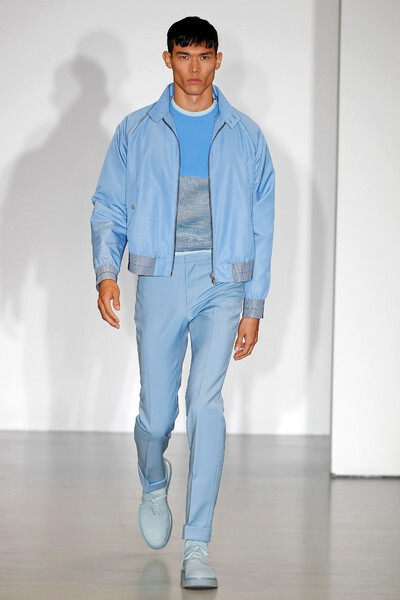 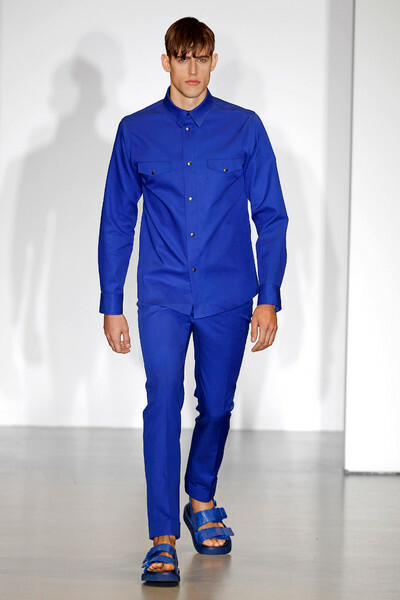 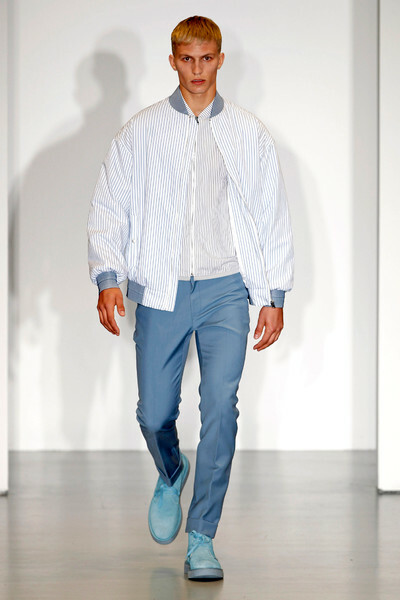 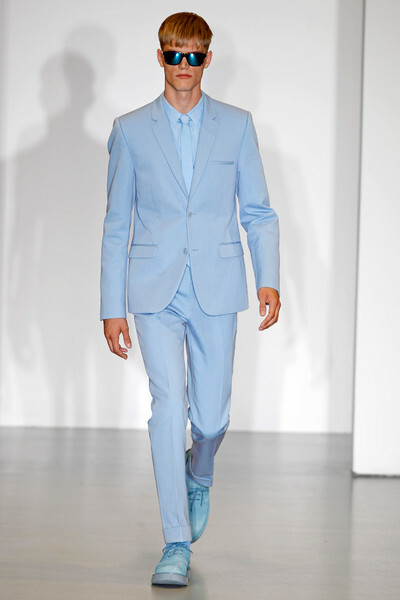 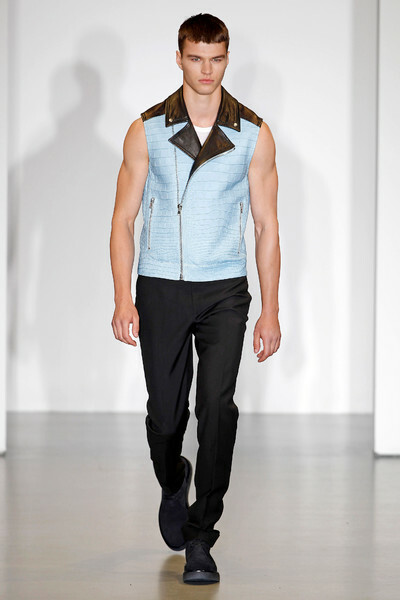 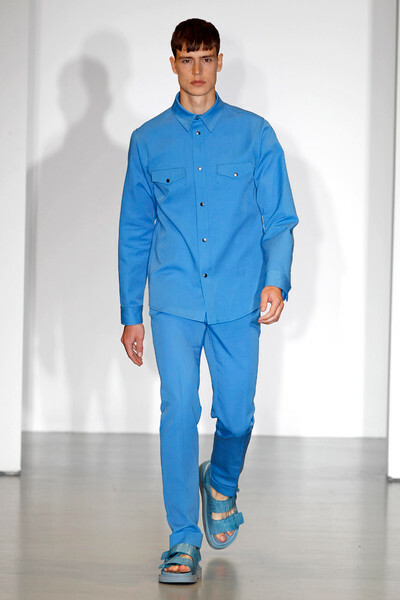 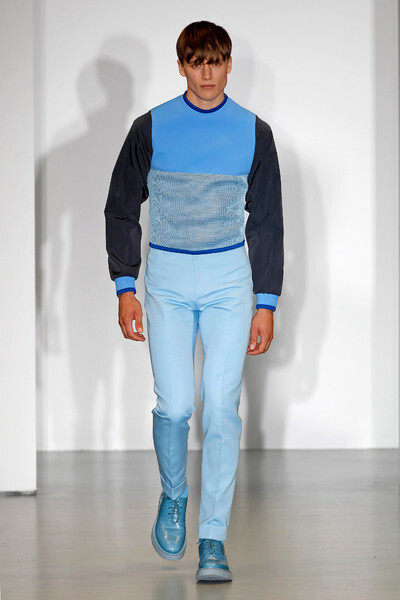 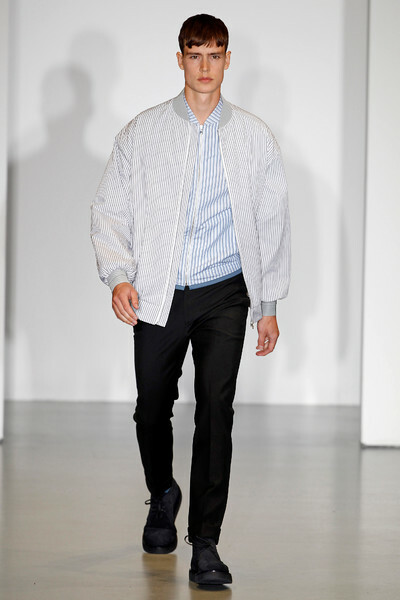 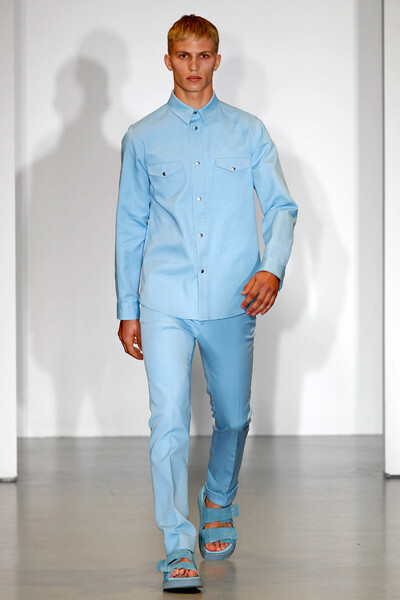 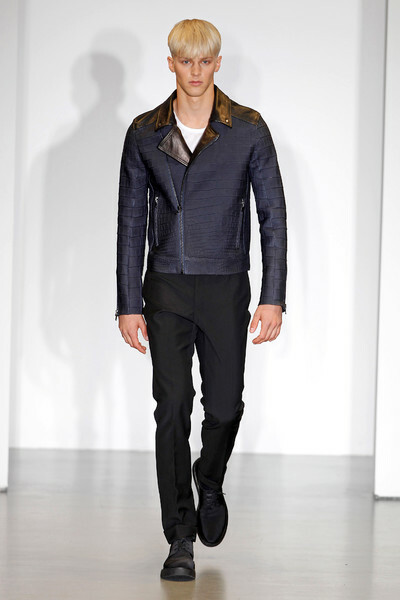 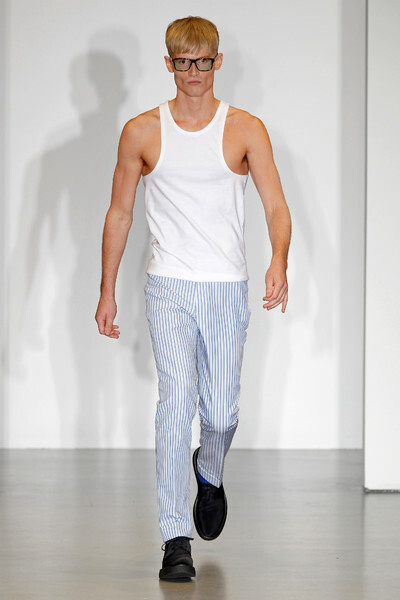 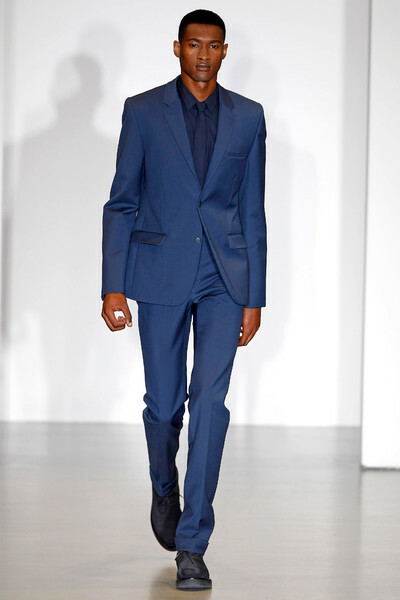 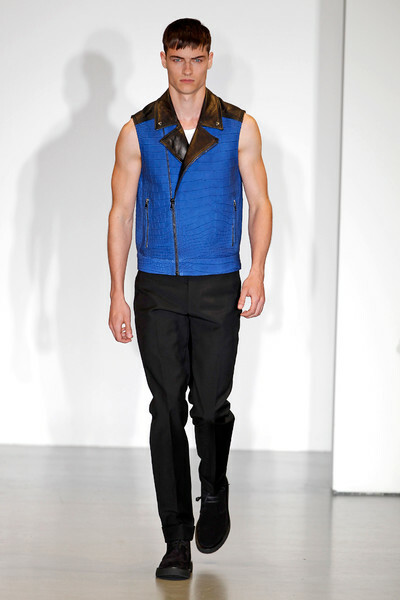 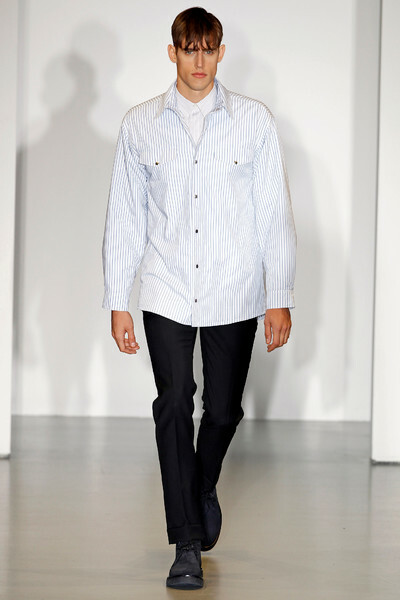 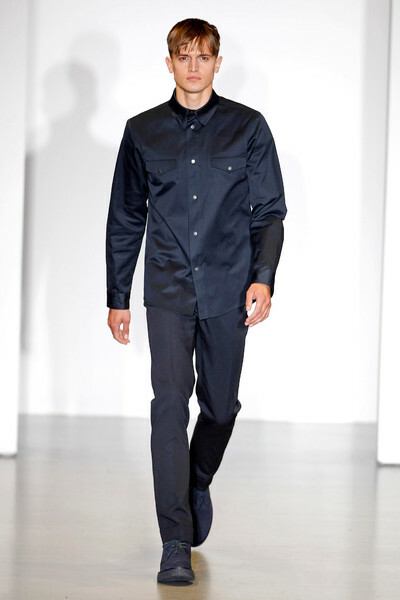 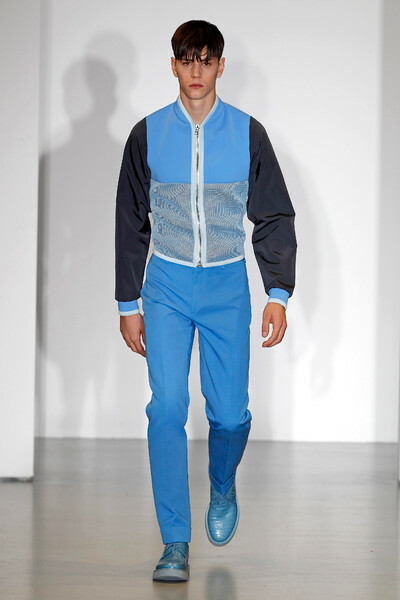 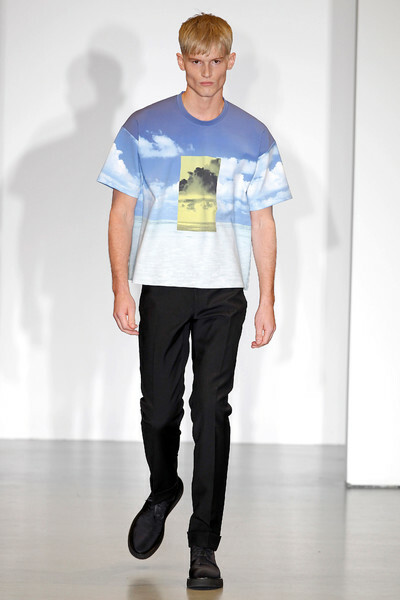 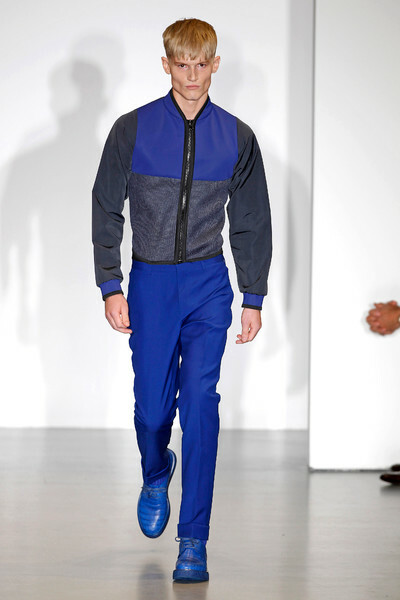 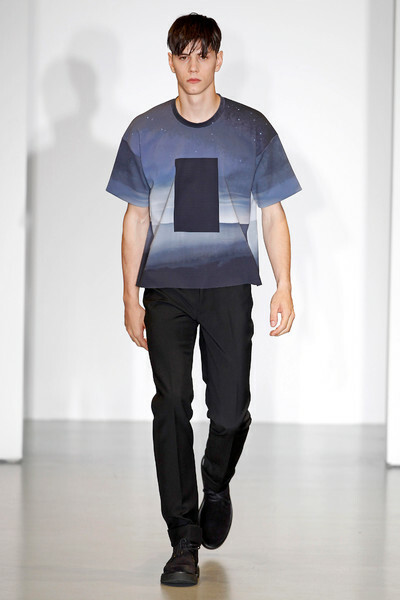 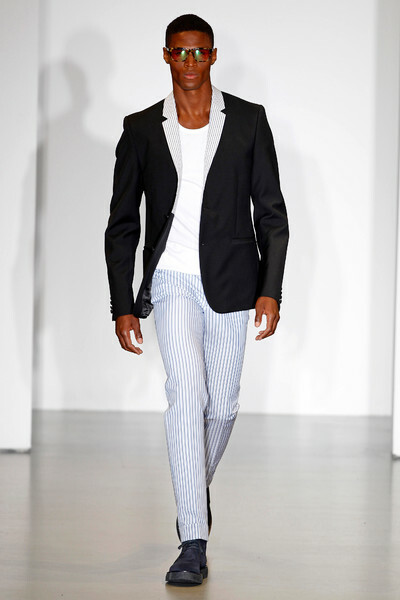 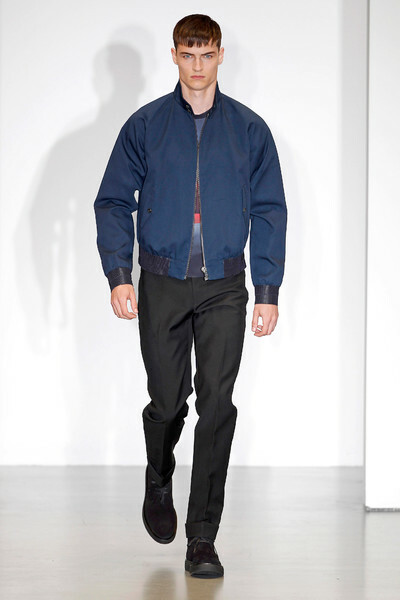 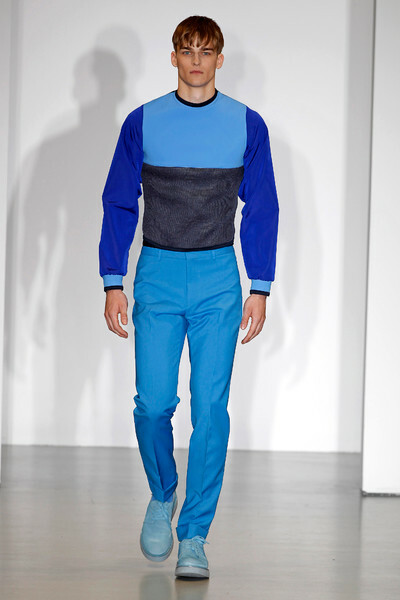 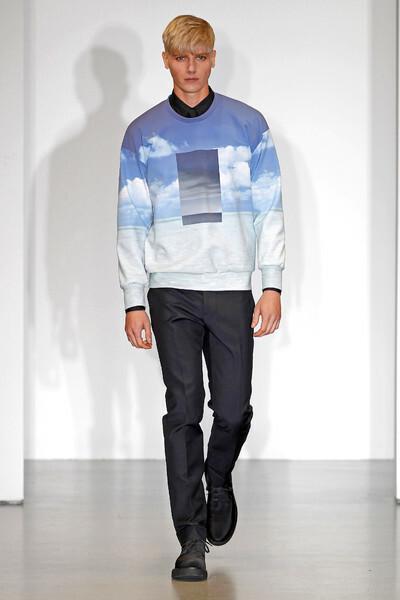 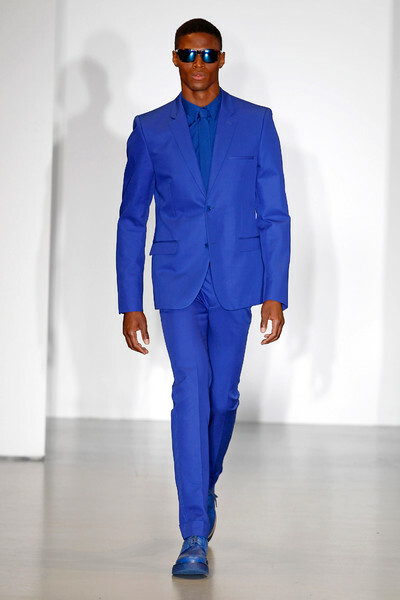 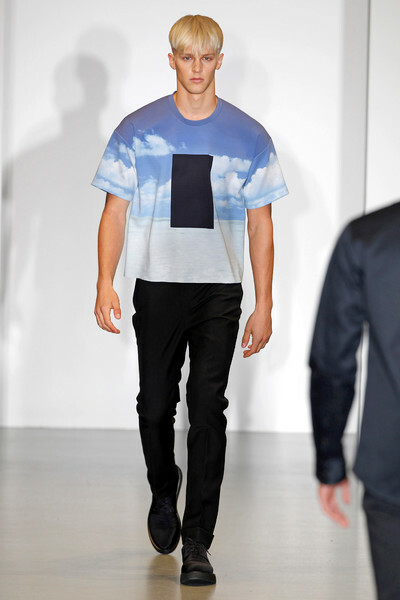 Multiple shades of blue- from morning sky pale to Yves Klein intense – dominated the spring collection of Calvin Klein. 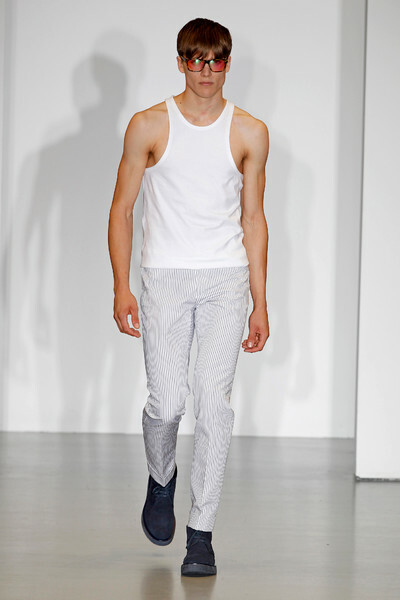 It was graphic, athletic and slyly streetwise. 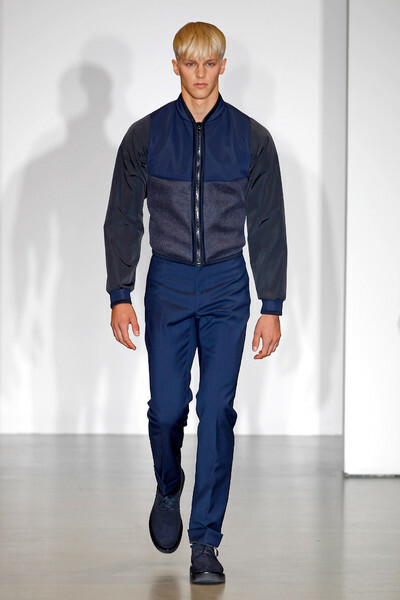 There were color-blocked bombers and bonded wool trousers, or workers in stiff shirt jackets with silver snap fasteners looked futuristic. 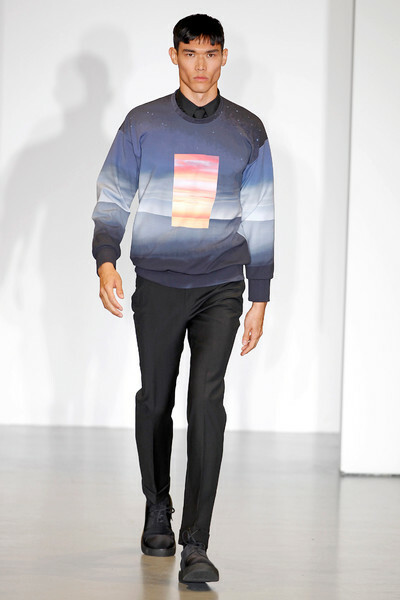 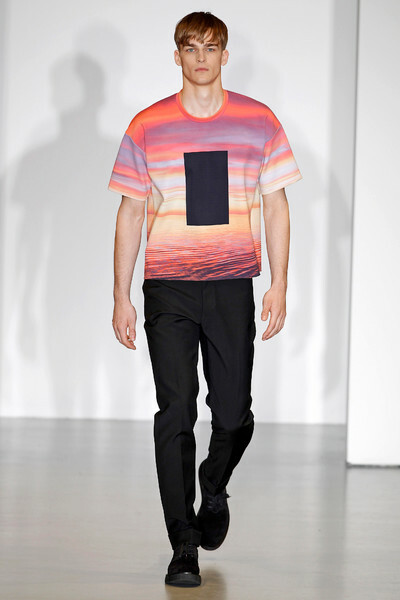 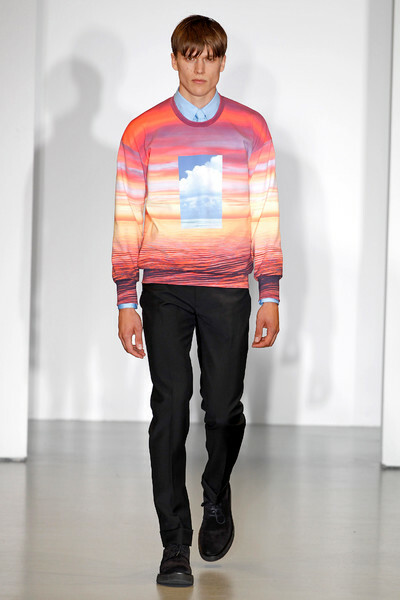 Interesting were the series of photo-printed T-shirts and sweatshirts depicting salt flats and seascapes at mid-day, sunset and under the stars.